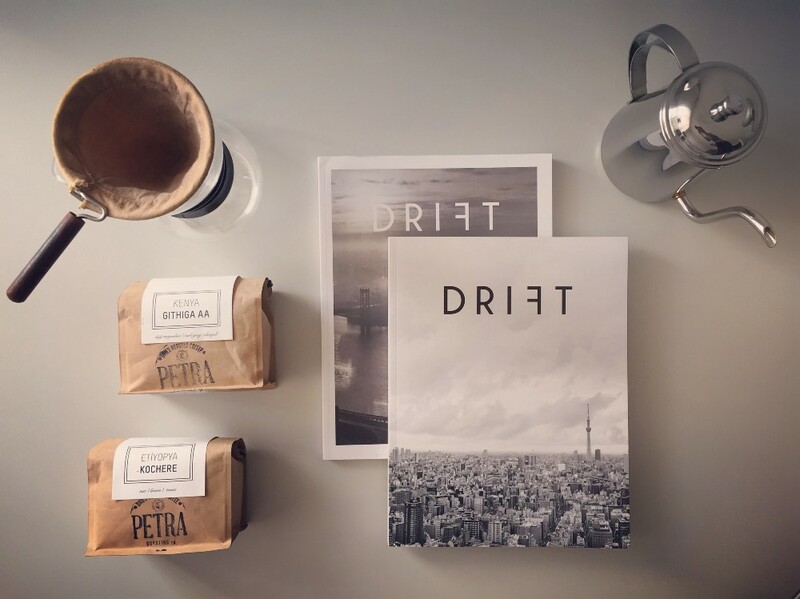 Two issues of Drift, NYC and Tokyo. I love Coffee. I love reading even more. Combine these you’ll end up with Drift. 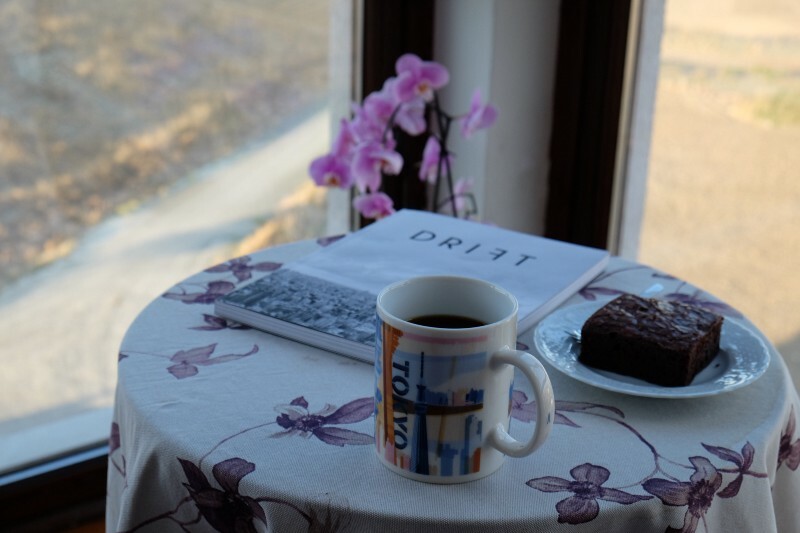 Drift is a magazine about coffee, the people that gives coffee a meaning and the cities they are shaping. Each issue is about a specific city. It explores the city’s various layers and shows a detailed lookup. Stories are not just about coffee itself, they’re about humans exploring coffee and creating with it the city’s culture. Right now they are two issues. First issue is about New York City, the second issue about Tokyo. The biannually released issues shows us an excerpt of barista’s, cafe owners, city shapers, the woman sitting on the bank with her coffee, tinkers and creators, roasters, … It’s a rainbow of human interactions smashed into 160 pages of beauty. Even though the stories are dense and informative, I think what makes Drift even more strong is its photos. Simple but proactive to the mind.It reflects the city’s environment in a beautiful way. Each photo feels like home, calming and safe. Once you have it in your hands, it makes you look at it for minutes. Drift is a perfect example of how a magazine should be. My only problem with Drift was that it was hard to find. If you live in the U.S. you’re chances are higher, if not good luck. I’ve searched for 3 months here in Turkey and finally found them via a bookshop in Istanbul. I’ve didn’t realized that I’ve finished the first issue in one day. Just thinking that I’ve consumed six months of work in one day makes me feel worse. The Drift team announced now their third issue, Havana and I’m looking forward to get a copy of it and start reading. Until then I’m going to digest slowly the second issue, with a cup of coffee brewed with the nel drip.